Professor Barbara Creel has recently been elected to Defender Council of the Board of Directors of the National Legal Aid & Defender Association (NLADA). She will be serving in a Defender Staff / Practitioner Position for a three-year term. NLADA is the nation’s oldest and largest non-profit organization devoted to excellence in the delivery of legal services to those who cannot afford legal counsel. It is also the only national organization whose resources are dedicated exclusively to advancing justice in both civil and criminal cases. 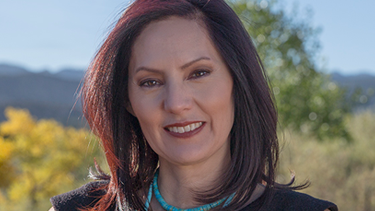 As a former Assistant Federal Public Defender and an Indian legal services attorney, Creel is a subject matter expert on the right to counsel of Native Americans accused of crime. The Defender Council advises the Board of Directors on policy and programs relating to the right to counsel, and support for defender legal services through technical support, training, advocacy, and research. Creel attended the Council meeting in advance of the Annual NLADA conference, Safeguarding Justice for All, held December 6-9, 2017 in Washington, D.C., 2017. The conference included a focus on the legal needs of communities in response and recovery after natural disasters and racial justice, and the impact of cuts to legal services. The opening plenary keynote address was given by Senator Patrick Leahy, (D-Vt), the vice-chair of the Senate Appropriations Committee. Creel is excited to join the Council and bring her experience to advocate on behalf of access to justice for all, especially those who have been left out of the right to counsel struggle and debate. “I am so happy and proud to be a part of and learn from those champions of justice at NLADA who work tirelessly to amplify the voice of the client and champion civil and criminal justice advocacy and reform,” she says.